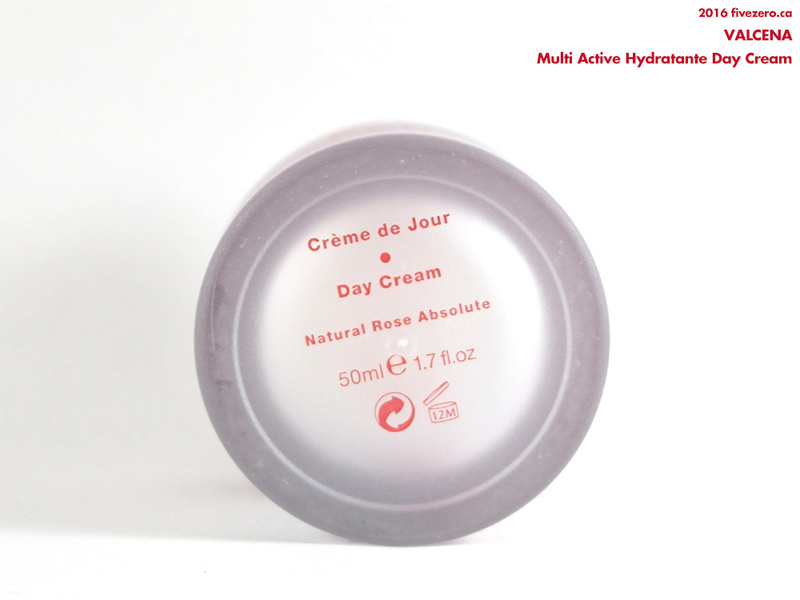 The Multi Active Hydratante Day Cream‘s active ingredients are Damascena rose oil and vegetable oils (castor and olive). The website states that the cream also contains a UV Filter, though I that isn’t stated on the packaging, nor is the SPF mentioned. I use a separate sunscreen on my face, anyway—and sometimes my foundation has it, as well—so I don’t normally expect my face cream to have SPF. In fact, I usually prefer there not to be sunscreen so I can choose my own. The cream is packaged in a translucent jar made of sturdy plastic. The cream itself is contained in an opaque white jar. I do prefer the feel of glass jars for higher-end skincare products, but honestly, plastic is safer since I do have a habit of dropping things on my bathroom floor. A small plastic scoop is also packaged with the cream, presumably so you don’t have to stick your fingers into the jar for hygienic reasons, but I am a finger-dipper, so I tossed that. The screw-on cap is also a two-piecer made of plastic; this part of the packaging doesn’t feel as sturdy, and as nice as it looks, I think Valcena might want to redesign it to feel surer in the hand. 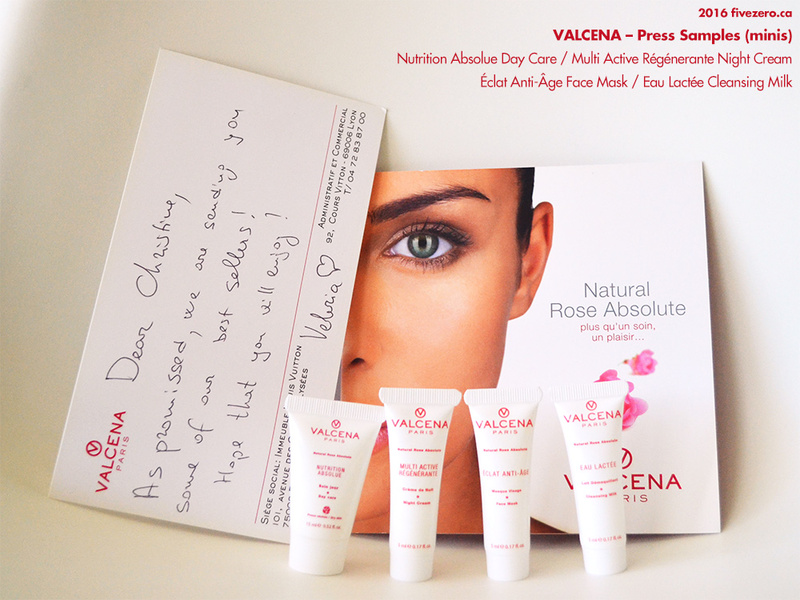 Since Valcena’s products all seem to contain rose extract, this cream smells wonderful to this rose lover! It is well-scented, so the very sensitive-skinned should probably stay away, but I love scented creams so this is just perfect for me! Valcena’s rose scent is a heavier rose, with a touch of lipstick about it, but it also has a watery aspect to it that reads as a dewy rose. The cream itself is opaque white and has a light texture, almost like a gel. It smooths onto the skin and sinks in beautifully. I have had no issues layering products over this, like foundation: it works very well as a base. I have really been liking this over the summer, and it is the perfect weight for my dry skin. I will be very interested in testing this into the fall and winter, to see how well it works then. The jar I received from Valcena expires in April 2018 (and the cream expires one year after it’s been opened). The Valcena products I’ve recently found at Winners seem to expire in 2019, so I’m happy to recommend that you run out and look for this lovely cream at your local Winners/TJMaxx/Marshalls! 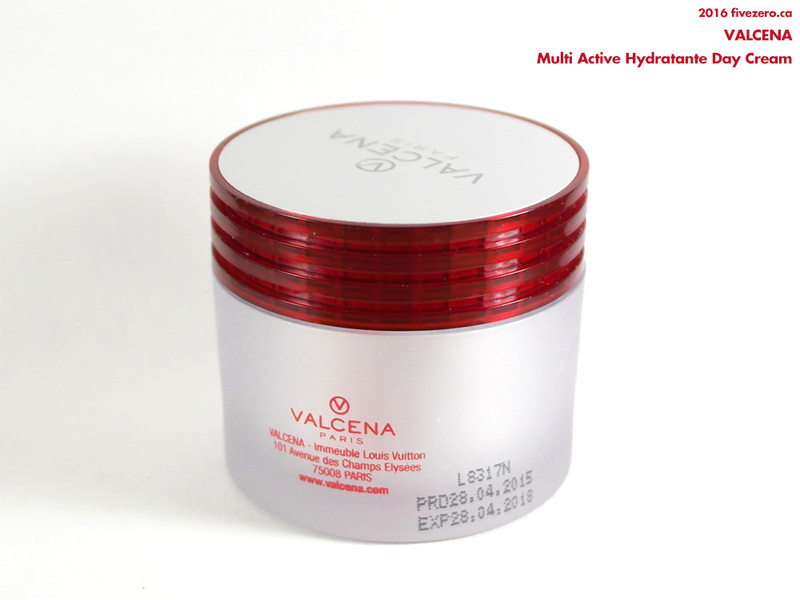 Valcena Multi Active Hydratante Day Cream comes in a 50 mL jar and can be found at one online store for about £22, though I do not know whether this is the official MSRP. The Valcena representative didn’t actually give me any pricing information. She did indicate that the company is planning on launching a Canadian online shop in September 2016, but for the time being, their products can be occasionally found at TK Maxx (in the UK), and I have found them at Winners in Canada, where they all seem to be priced at CA$12.99. The packaging didn’t state where the product was made, but the Valcena night cream I bought at Winners had a “Made in Bulgaria” sticker on it (that’s where the roses are from!). 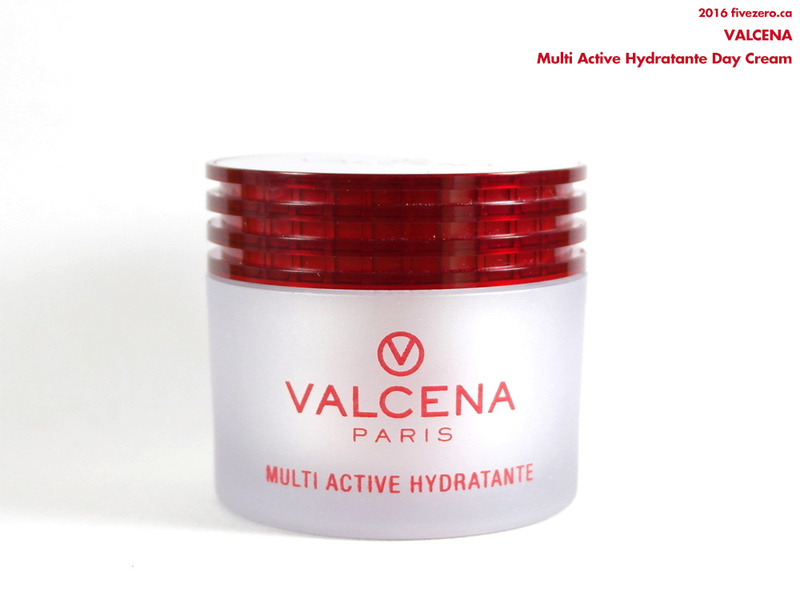 Valcena Paris was launched in 2010. The brand’s skincare products revolve around Damascena rose essence from the Balkan valley. The company’s products are free of parabens, preservatives, and added coloring. 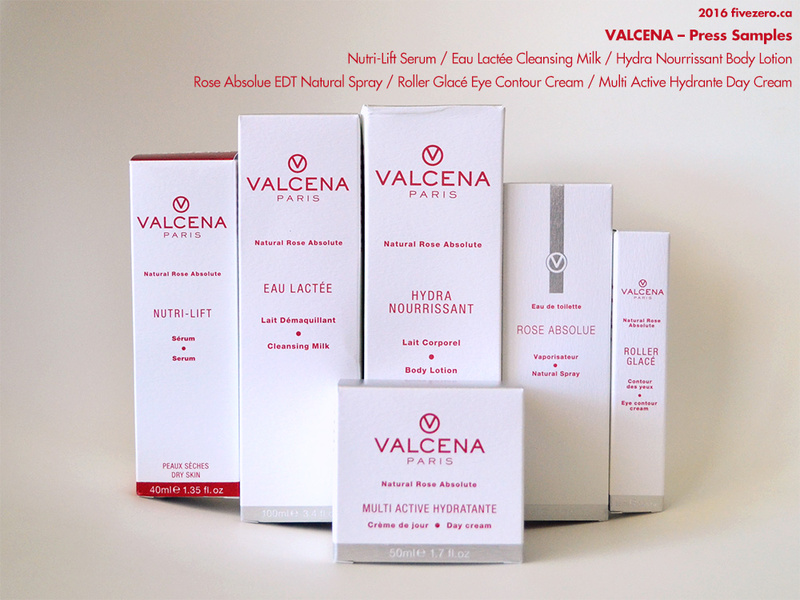 Valcena is cruelty-free. You can use the mini sizes for travel! I was curious about the Day cream since I saw it at Winners but I’ve got a few creams to use up first. It sounds really nice. Yes, we do! Maybe during another lunchtime shopping trip? I still haven’t checked out anything new – we have got that Winners at Dundas Sq, the Nordies, and I think Uniqlo has opened, hasn’t it? These look like absolutely lovely products!